Description Of Item: Modeled after the powerful Starfighter vehicle, like the one seen in The Clone Wars animated saga, this fierce fighting machine is now a mode-changing figure that?s full of surprises! Convert the Jedi Starfighter to Obi-Wan Kenobi mech mode and back again! 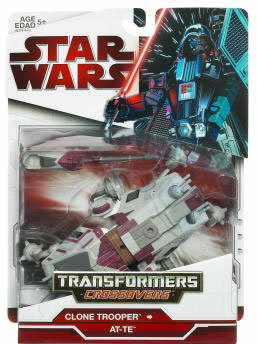 Vehicle mode features two launching lightsaber projectiles.